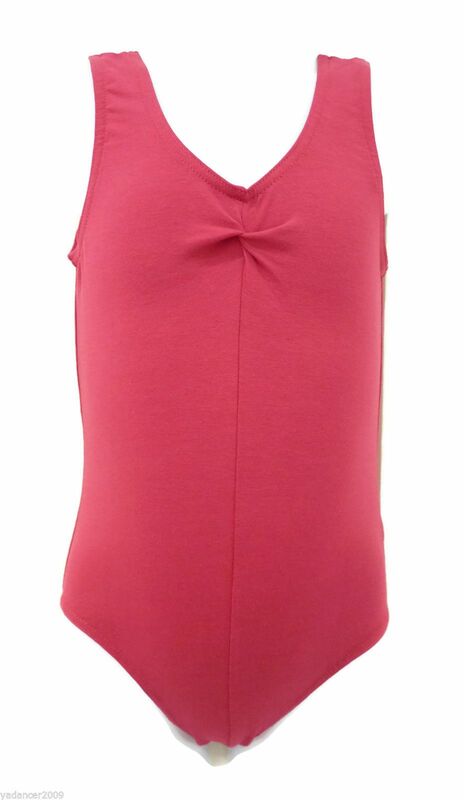 From the Tappers and Pointers Dancewear Collection this lovely soft cotton rich short tank style sleeveless leotard has centre front seam and ruched front neckline. Tappers and Pointers are a British company who pride themselves in working with UK manufacturers and the quality of this lovely item is superb. This leotard is made using an 92% cotton, 8% Lycra fabric, for a soft comfortable fit. Available in PLUM , this style is suitable for ISTD uniform. We also stock the Tappers and Pointers Chiffon Circular skirt in ISTD PLUM for a perfect match and Tappers and Pointers Wrap in Plum. Children vary greatly in height and size please use the ages/sizes as a general guide for "average" sized children. If your dancer is between sizes or taller than average then please go up a size.